Expect some letters in the next few days. Current Phase 1 Subscribers – In a few days you will receive updated information and easement documents to sign. This part of the project is very important and we encourage you to ask all questions you may have. The sooner we get the documents back the sooner the project can move forward. 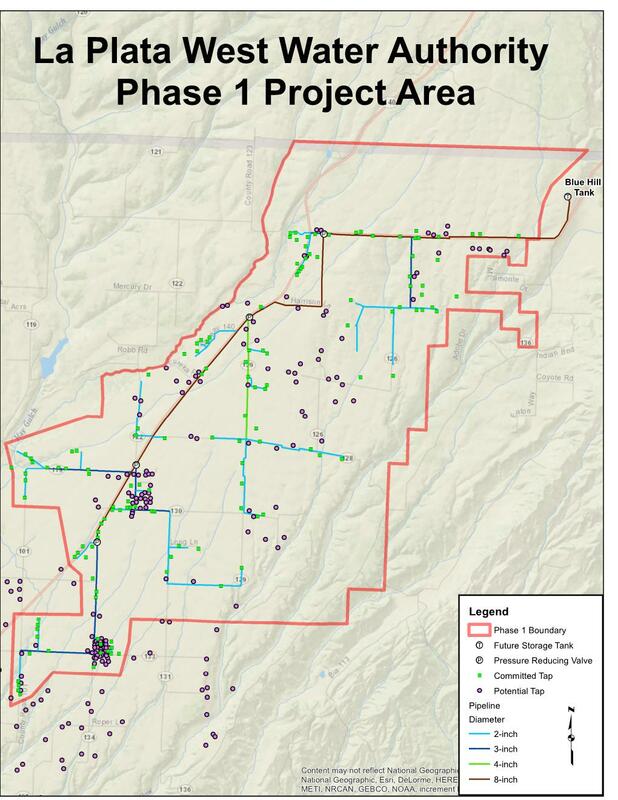 Phase 1 Property owners along the pipeline route who have not subscribed for service – You will receive a letter giving you the opportunity to still sign up at the current $10,000 level for the next 30-45 days. Please be aware that your cost is likely to be substantially higher if you want to sign up at a later date, since there will be limited capacity for additional service in the designed system and you may incur line extension costs in addition to the subscription fee. 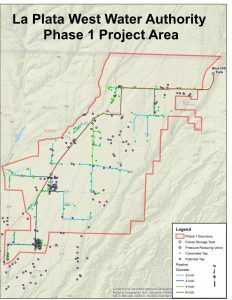 Phase 1 Property owners NOT in close proximity to the current pipeline – You will receive a letter giving you a possible method for you, or you and a group of your neighbors to sign up at a lower cost for everyone. As stated above it will likely cost you substantially more to sign up at a later date. The offers to sign up is limited to just a few months so don’t wait to act on this. Contact any board member or call (970) 403-5790. Water User Agreement is here. Click on Map to Enlarge.